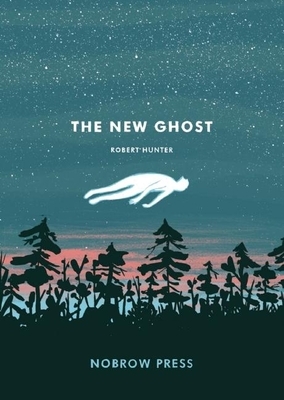 A beautifully rendered, literally haunting tale of the afterlife, Robert Hunter's The New Ghost follows a spectral entity on his first day at work: dark, gentle, poetic, and heart-warming all at once, it is an atmospheric tale to dash the conventions of comics and leave you thirsty for more from this young storyteller. Part of the Nobrow 17x23 series. Robert Hunter graduated from the University of Western England, Bristol in 2007 and has been working as a freelance illustrator ever since. Alongside his professional practice, Rob always makes time to pursue personal projects, such as his growing body of narrative work. The New Ghost is his first solo comic with Nobrow. I know this book will be spending a lot of time in my hands. It’s perfect for rainy—day reading and just the sort of still, calming mix of word and image that one needs before falling asleep. Give yourself the pleasures of holding this book in your hands and of being able to pick it up again and again. Your world will be the richer for it. Robert Hunter is a trained illustrator who worked with the small—press publisher Nobrow Press to create "The New Ghost." It’s a gorgeous piece that plays with color and panel structure. It’s an original story, told well, but the best and most unique thing about it is the highly saturated and beautiful artwork. Rob Hunter's art runs against many of the strong currents in the worlds of comics. I know tons of comics that are tough, gritty, funny, gross, goofy, dark, trippy, dystopian, complex, satirical. These aren't bad things at all, but how often do you come across a comic that's light as air, dreamy and poetic?